Based on your education and experiences, what is your view about learning and how it occurs? 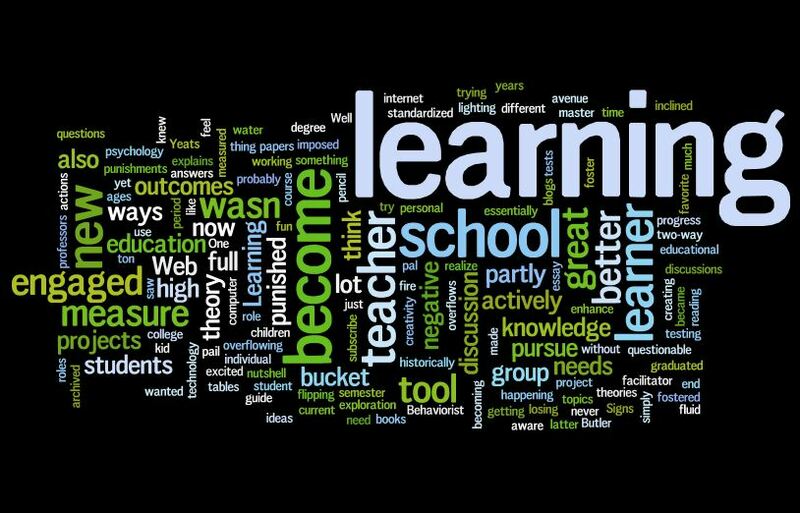 One of my favorite quotes is by William Butler Yeats, “Education is not the filling of a pail, but the lighting of a fire.” This explains my personal learning philosophy in a nutshell. All through middle school and high school, I was not motivated. I was that kid that flat out did not like school. It wasn’t working for me. And now I realize that was because I was essentially trying to fill my pal with knowledge. Well the problem that arises from this is that a water bucket can become full, and once that bucket is full, it overflows. I was overflowing a lot in school and was losing a lot of knowledge because I just wasn’t into it. It wasn’t until the latter years of my undergraduate studies in which I became excited about learning. It was partly because I had some great professors, and partly because I was getting an education in which I was passionate about. I was engaged. I was having fun. I was learning. Once I graduated college, I knew I wanted to pursue a master’s degree, something I never saw in my cards in high school. 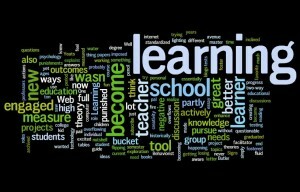 If you are aware of any philosophies/theories of learning, which would you subscribe to? I am not aware of any philosophies or theories of learning. I have yet to have an educational theory or psychology course. But after reading a few archived and current blogs, I can say that I do not subscribe to the Behaviorist theory where positive outcomes are rewarded and negative outcomes are punished. I believe this is a thing of the past and it needs to be changed. There needs to be an environment in the classroom where children can experiment and discover without being punished. This is how learning is fostered, in creativity and exploration. Once you imposed standardized testing and punishments for negative actions or answers, students become less inclined to try new things and explore new avenues. What is the role of the learner and the teacher in a learning environment? The roles of the learner and teacher, I think, will become much more fluid as education shifts and changes. The learner should also be the teacher and the teacher should also become a learner. In creating a two-way avenue of teaching-learning, both parties become actively engaged and new ideas and discussion stem from flipping the tables. I think the role of teacher is now becoming more of a facilitator that will guide students in group projects and discussions and the learner will need to actively pursue questionable issues or topics in which interests them. How do you know if learning is occurring and what are visible indicators or signs of learning? Learning can occur in a ton of different ways. A great way to measure learning is by having a discussion. Is the student engaged? Are they asking questions? That’s great, they are probably learning. Signs of learning have historically been measured with tests and essay papers. But I feel there are better ways to measure learning and that includes projects, both individual and group. Have the same project at the beginning of a semester and then again at the end, and then measure the progress made in that time period. What is the role of technology in learning? Technology is simply a tool to be used in learning. Learning has been happening for ages, and it gets better and better with each new tool. Some of the first tools were pencil and paper, and then books, and then a computer. Now we have the internet and the Web 2.0. How can we use the Web 2.0 as a technology tool to enhance and foster learning? Woah, awesome. Thanks Phil. Great blog links you shared. I added them to my RSS feed. I especially like Danah Boyd’s blog and DML. Good stuff! There needs to be an environment in the classroom where children can experiment and discover without being punished … – This reminds me of the John Seely Brown video I posted earlier this week. Other researchers, etc. who advocate for the importance of play and experimentation in learning are Henry Jenkins, danah boyd and many of the folks over at Digital Media Learning.